, but it is really easy to do some basic stuff, like querying for a list of users, then applying further queries to the output, by using a pipe. Of course piping output is nothing new, generally speaking. 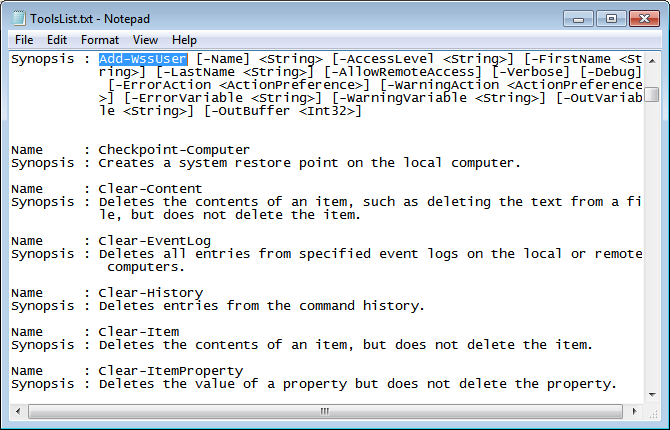 I mainly use PowerShell for reporting on things, especially with Exchange, however having been recently working on an SBS 2011 Essentials Migration, i found some really useful PowerShell commands that i wanted to share. 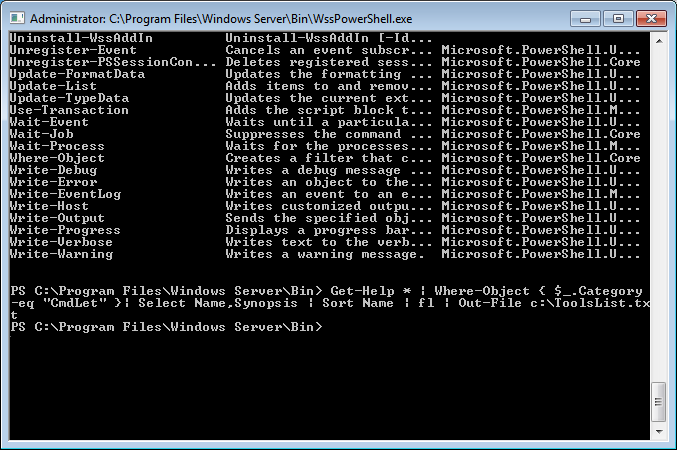 First off, lets load up the SBS Essentials PowerShell Snapin. 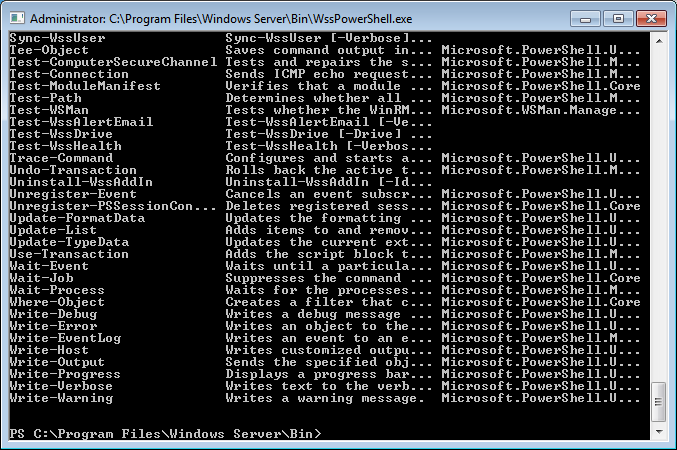 Now you get your PowerShell prompt in a separate window. Don’t get me wrong, i know how to program a Cisco Router/Switch from Hyper Terminal, so i am not completely devoid of command line skills, but when i learned that, at least i had a book to go from. But if you don’t know what commands are available, you are kind of at a loss. Help is at hand however, with this nifty little command. Enter that, and prepare to be amazed. Thanks to Gerado Lopzez for posting it. The output from that command, will probably be a little overwhelming. So again, thanks to Mr Lopez we can add some syntax to our command, to get a little more use from it. The output here is a lot more useful, giving us a Synopsis, of what each tool actually does. Brilliant. However, a lot of it is actually cut off, and it exists only inside this window. 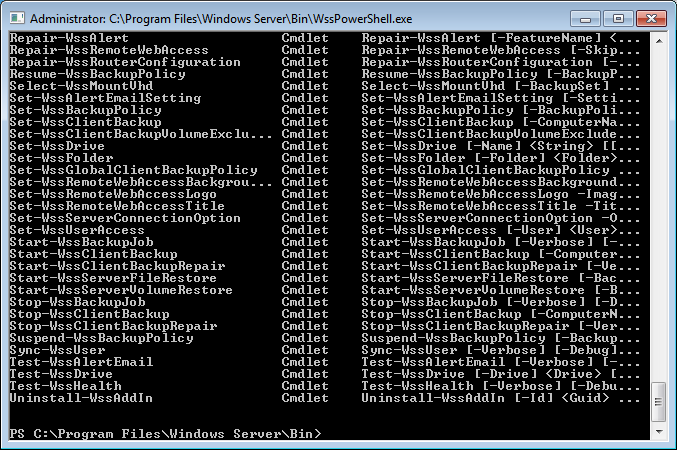 This is where i add a little of my own PowerShell magic. I took away the PSSnapin column, added the Format List (fl) option, and also used the Out-File option to output our result to a text file. 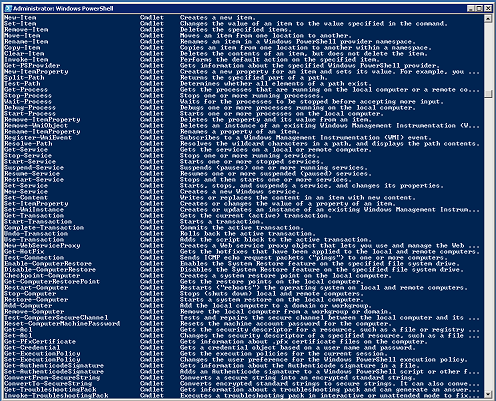 Now we have a handy resource, for looking at all the available PowerShell commands on the box, the SBS Essentials commands are at the bottom, prefixed with WSS. 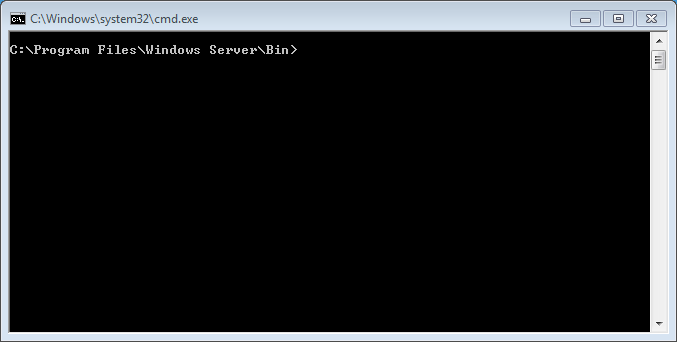 This command will show me some information about my user account. Finding this command however, led me to another question, how do you find valid parameters for a CmdLet? Well it is not as straight forward as you might think, of, you were expecting that? 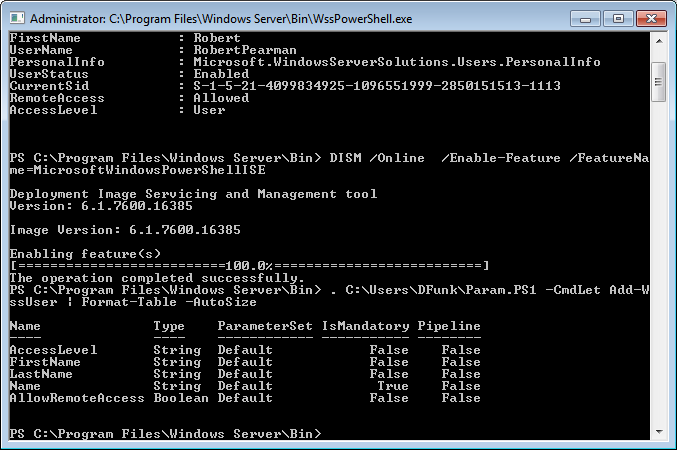 However, you may not want to refer back to that tools file every time you need to know which parameters are available, so to display all available parameters in the PowerShell session, you need to add a custom function. Firstly, ill save you the trouble of scouring the internet, the answer is to be found here. Which seems to have been posted by @halr9000 so thanks go to him. Unfortunately for me, being a novice PowerShell scripter, although those posts gave me the function i needed, it didn’t actually tell me how to create it. (or maybe i just couldn’t see it) Anyway, following this post i worked out i could just save that code into a notepad document with a PS1 extension, and then call it from a PowerShell session. Easy if you know how. 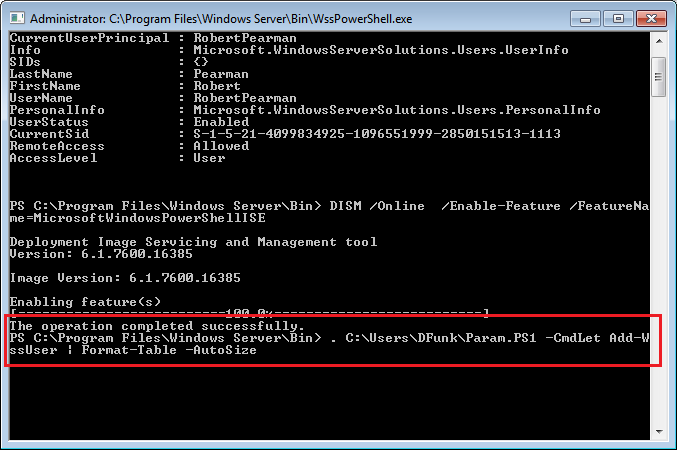 My preference is to use the PowerShell ISE (Integrated Scripted Environment) which you may have to install, it is a feature and can be installed using the following command. 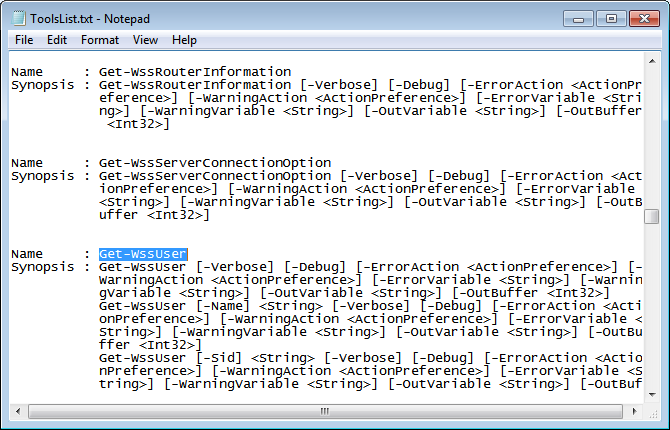 So lets put it into practice using the Add-WssUser as a test CmdLet. 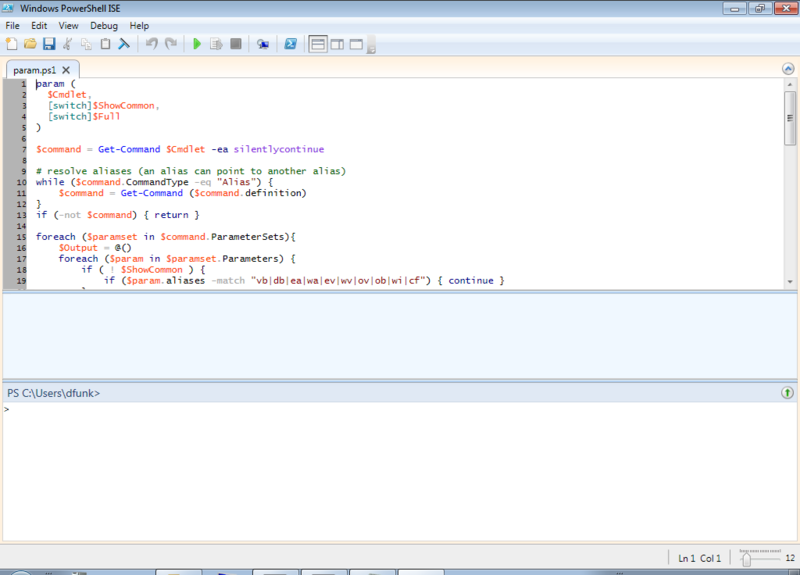 There are some other ways you can get the Function to work, but for simplicity ill stick to this one. SBS 2011 Standard does not appear to have the same type of PowerShell cmdlets available as SBS Essentials, however that should not stop you exploring what is possible by using PowerShell. Have a look at the TroubleShootingPack module, and the additional CmdLets that makes available, some really cool tools! 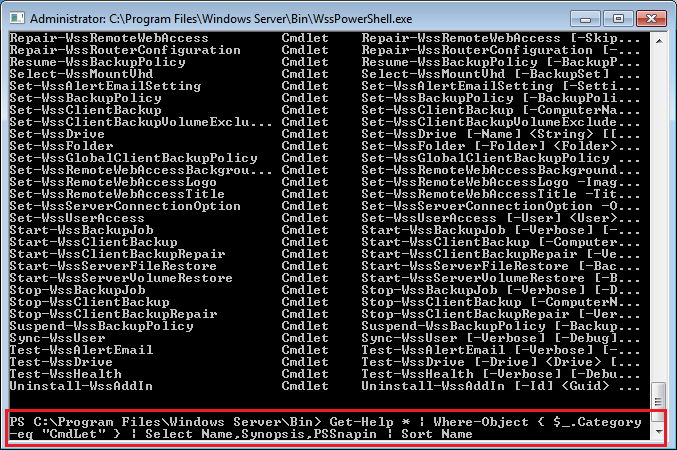 Hope this was interesting, at the very least you have read about a few PowerShell commands, which you can use in front of people or clients, because the Command Line always impresses people! 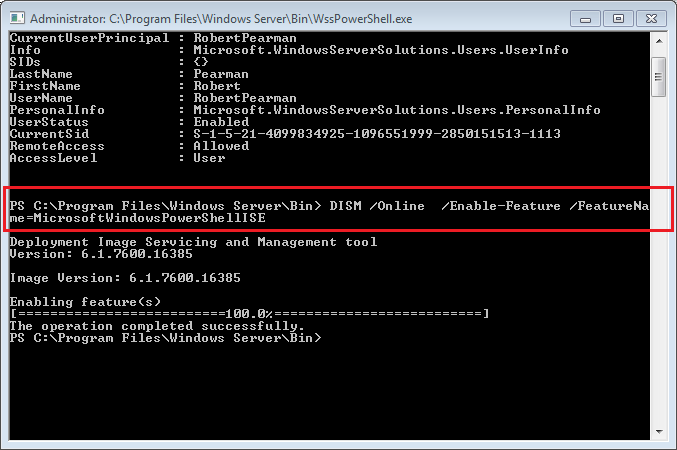 Thanks, quite useful, though Get-WssUser does not seem to be present on my SBS 2011 Essentials (others are there, weird). There is a typo in one of your samples: It reads “_$.Category” whereas “$_.Category” would be correct I assume. Perhaps you can export out your CmdLets and send me the text file? 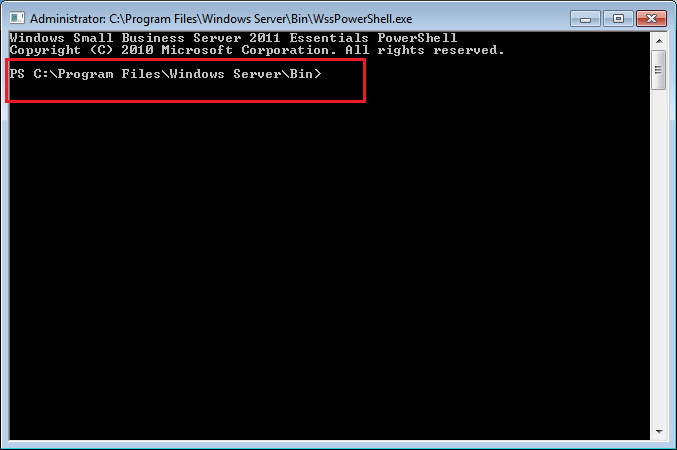 I know this is an old post, but I am running SBS 2011 Standard and I cannot find the file WssPowerShell.exe. What’s up with that? 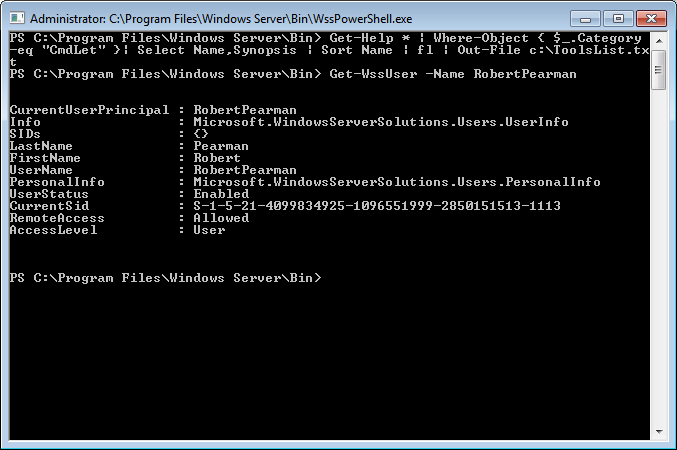 That file is only on SBS 2011 Essentials, not Standard.